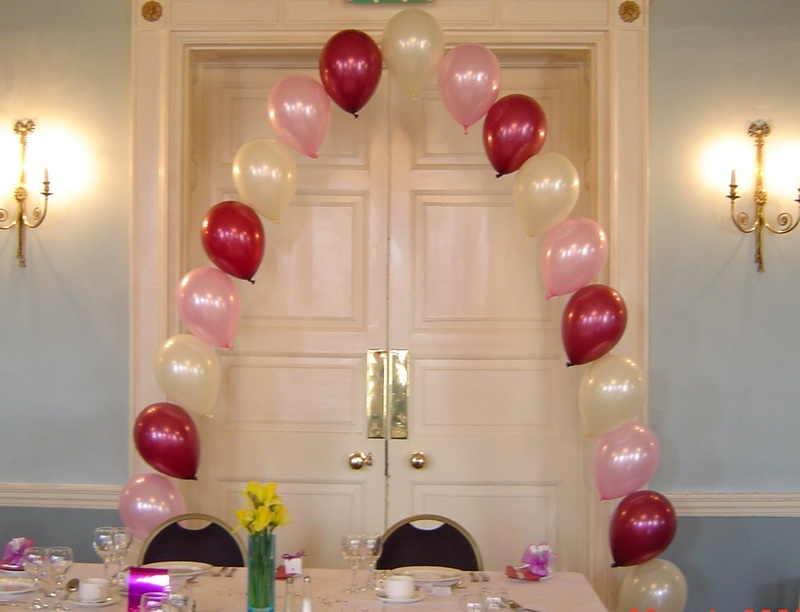 Party Balloons For All Occasions can create a number of different helium balloon arches. 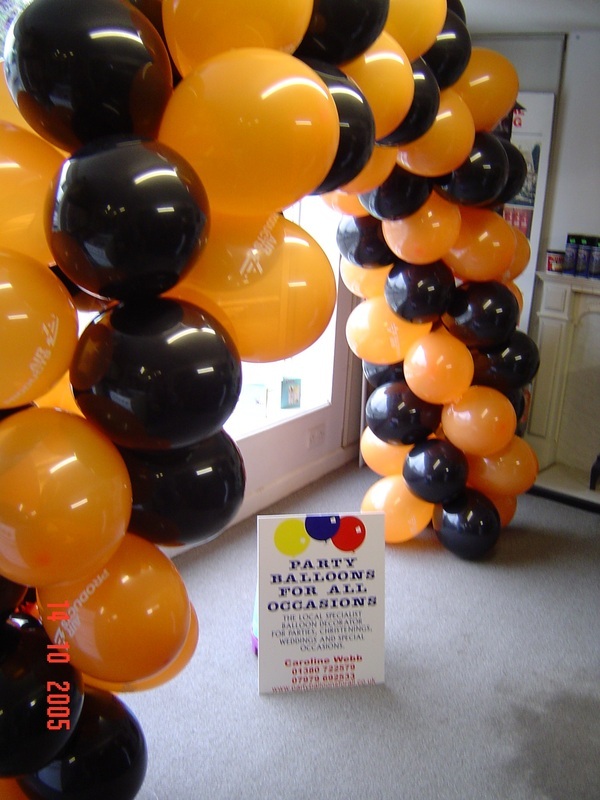 They can use a variety of different size helium latex or foil balloons. 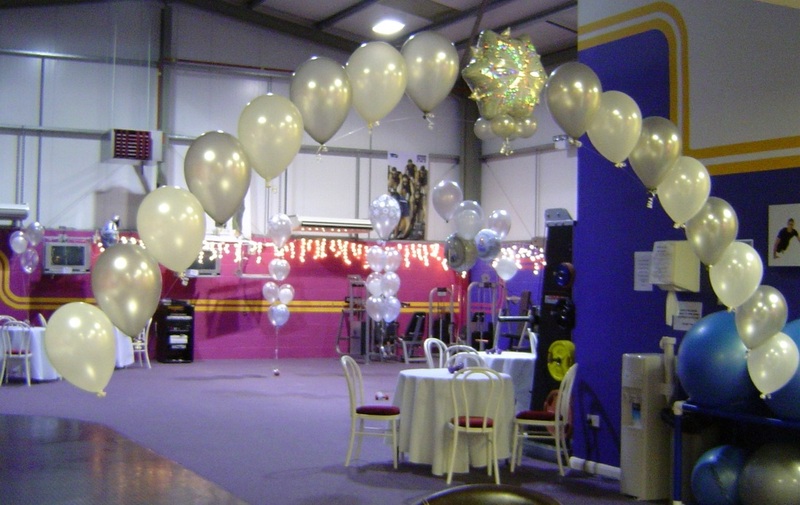 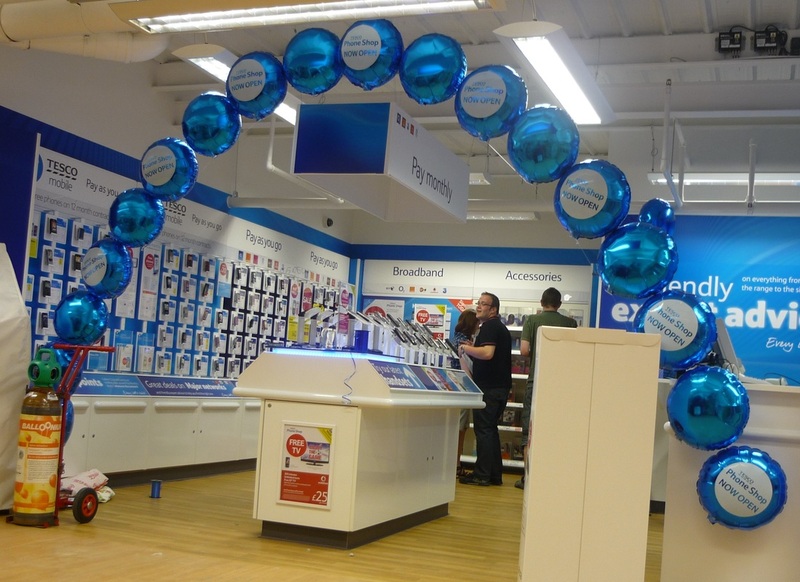 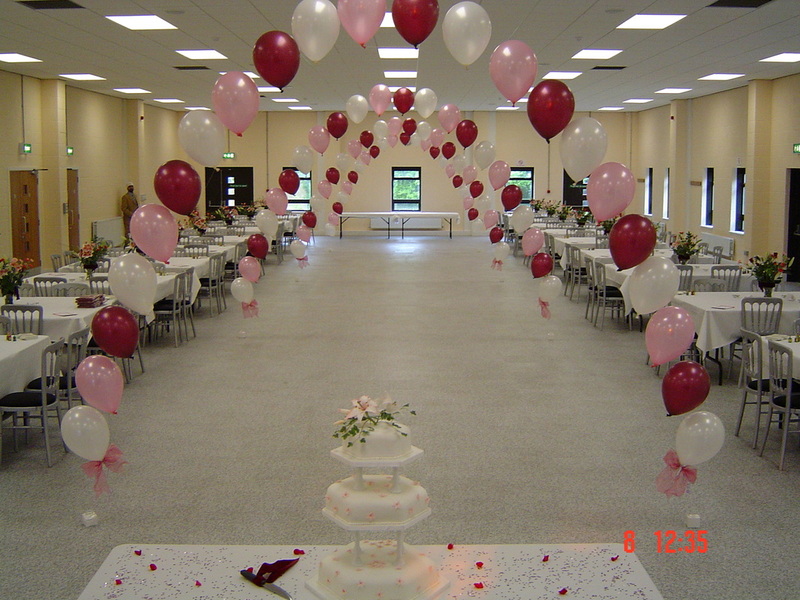 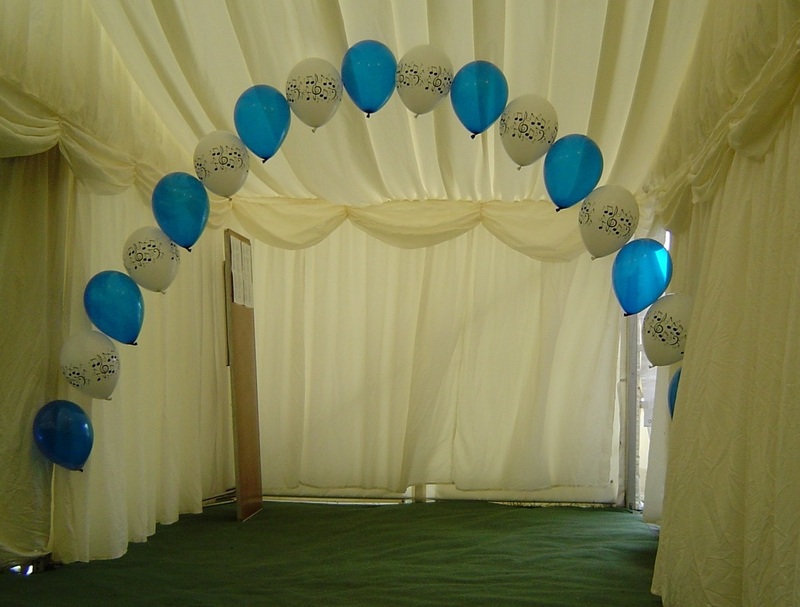 Helium balloon arches can be constructed in a variety of different colours, using helium round or helium shaped balloons. 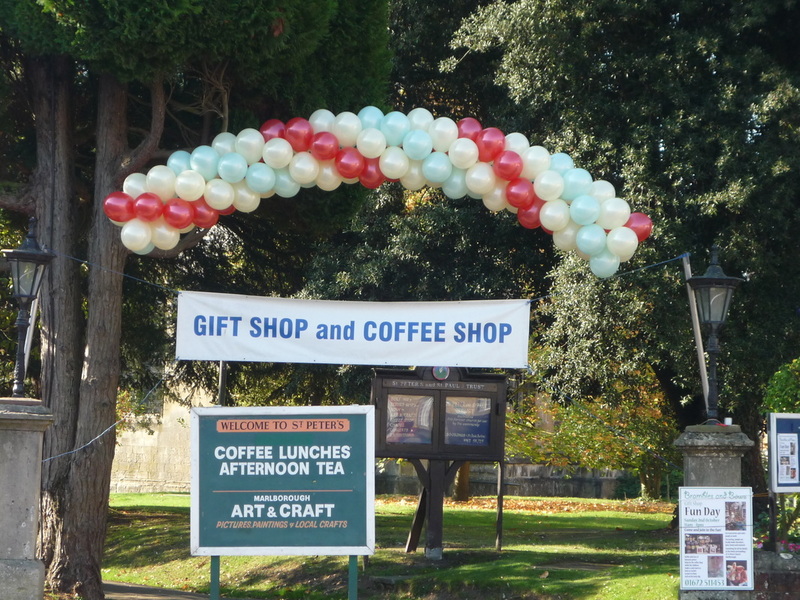 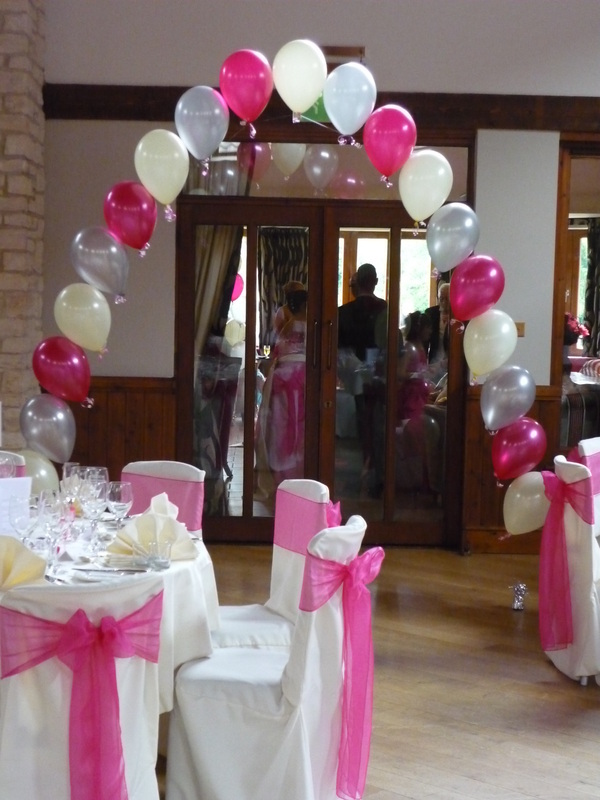 Balloon arches can be placed over doorways, banisters, cake tables, wedding 'top tables', - the uses are endless! 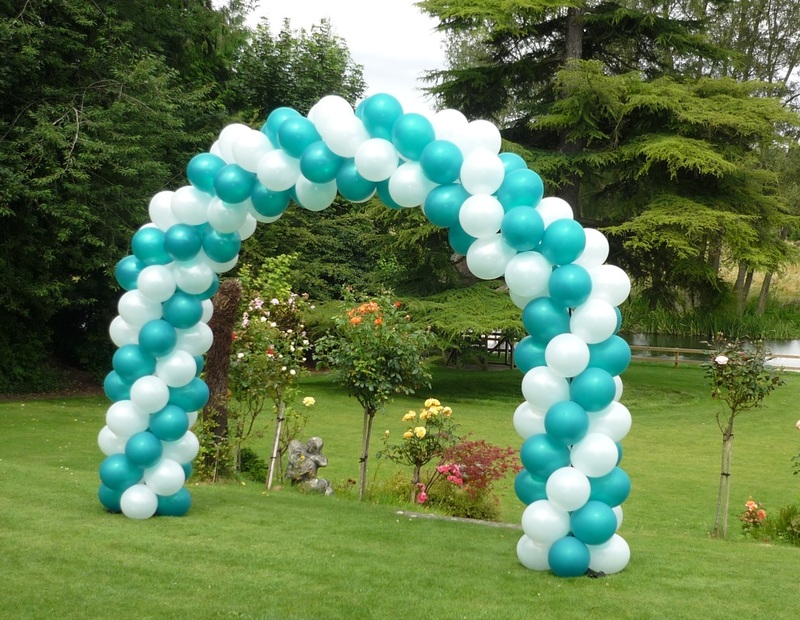 Party Balloons For All Occasions can construct your helium balloon arch to be of a 'single-string' design, giving a 'floating' look to your arch. 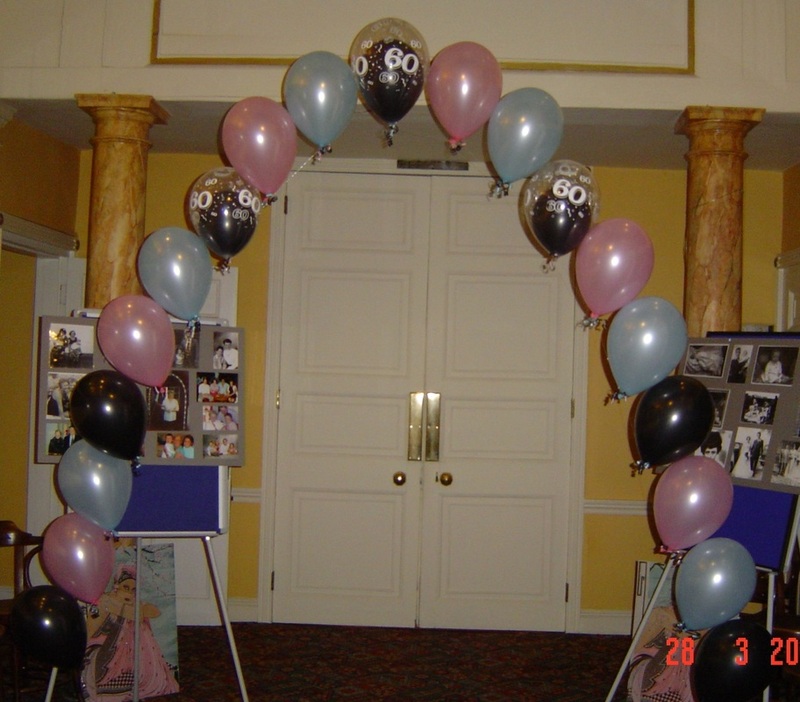 This type of helium balloon arch can then be dressed (or finished-off) with ribbons and/or tuille. 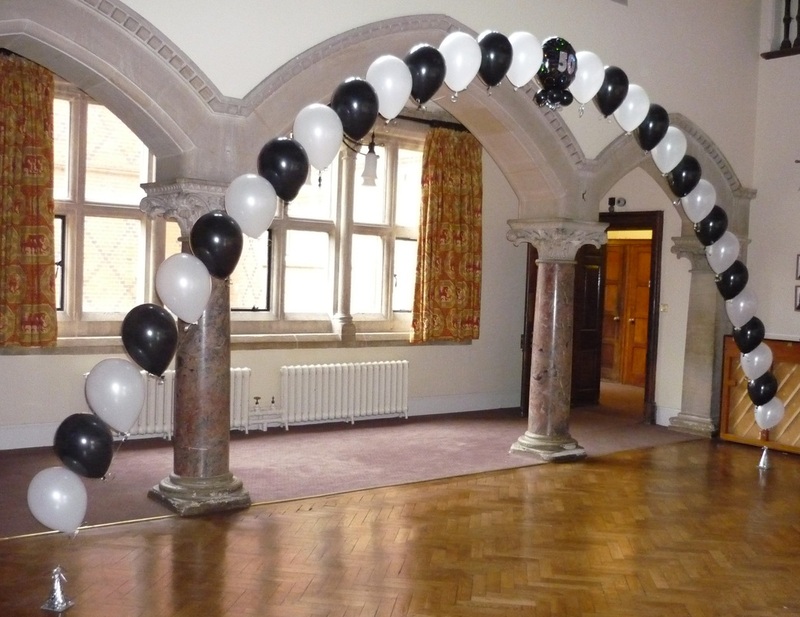 Or, you could choose to have a Spiral Arch, which is a more 'rigid' and dense balloon arch. 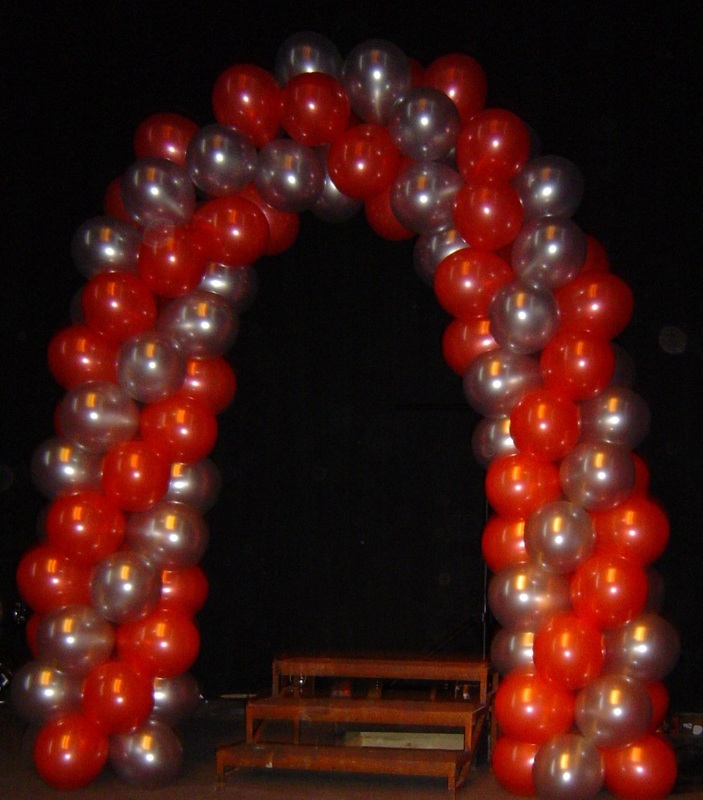 This design gives a more definite spiral effect to the eye and can be constructed with air and would stay in place a lot longer.